Does Cloud Integration Make Lenders More Competitive? Does working in the cloud live up to expectations or is it merely a change of platform? When it comes to lending software, transparency, digital experience (DX), and security are the top three demands of the modern borrower. Though these service demands are available in both cloud-based software and traditional on-premises platforms, the financial services sector has adopted cloud computing at a higher than average rate. In fact, Forbes Magazine’s cloud computing market forecast for 2018 reports the number of financial services server images deployed on the cloud at five times the median rate—even higher than insurance and healthcare. So what is behind the rise of cloud computing in the finance industry? 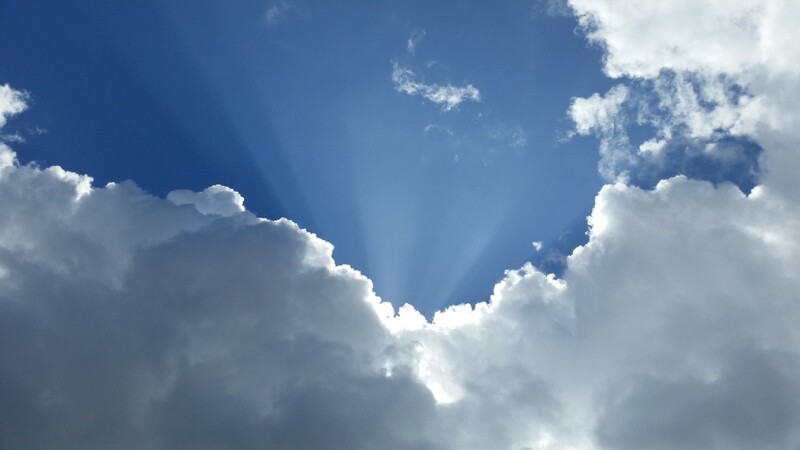 Is it fair to assume that cloud integration make lenders more competitive? Historically, a company was required to host their computer systems on a purchased server that was physically on-premises in their building. This kind of “legacy” system was large in infrastructure and required a company to commit both IT hours and budgets to the maintenance of the program itself as well as the server it was housed on. Cloud-based software, as compared with the traditional on-premises systems, is on a public or private server where maintenance is outsourced and programs are purchased piece-by-piece. Cloud programs can even be purchased on a subscription basis, which drastically reduces the staff time and budget commitment. Cloud-based systems are generally unrestricted by geography as well as being open to integration with specific functionalities based on industry or even company needs. The benefits of customization and cost reduction have resulted in cloud-based service providers becoming more popular each year. The migration to the cloud has made the software-as-a-service (SaaS) market an $80 Billion market, a number that Forbes Magazine predicts will grow another 32% this year. Efficiency is another factor that cloud integration assists. Loan management software improves the mortgage experience for employees and borrowers. On the employee side, compliance and other integrations make it easy to navigate cloud-based lending software. Centralized access to documentation gives lenders the ability to offer transparent customer service while maintaining a high level of cyber security on behalf of the borrower. Switching to the cloud means improved efficiency, reduced IT costs, and improved scalability. All of these effects mean better return on investment (ROI) for businesses. With investment low and return high, the cloud represents a major disruption in the traditional infrastructure of technology purchasing. Coincidentally, the financial services sector is catching on. Fiscal savings and improved efficiency are key to success in a competitive market. Beyond basic finance, cloud computing also offers improved capabilities. Cloud-based services are superior at integrating cutting-edge technology. Without the drag of a legacy platform, niche functionality develops quickly in the cloud environment. For example, late 2018 saw the release of a robotic process automation (RPA) tool specifically designed to streamline the onboarding process for mortgage companies. Gaining access to such a specific software solution would have been prohibitively expensive and inaccessible without the cloud. Now it is available for purchase and can integrate into an existing system. With cloud integration, the array of potential technology solutions becomes larger and more accessible to a single firm than ever before. Cloud integration gives mortgage companies unprecedented access to new technology, ROI on software investments, and streamlined business process operations with transparency. These unique characteristics offer a competitive edge that is unmatched by older infrastructure. Through cloud integration, lenders can leverage these abilities to make their company more competitive. Mortgage companies interested in cloud computing can read more about digital transformation on the ABT blog.